This pretty sparkly Yellow Kitchen Women's Apron is designed with a love for Diamonds, especially Rings!. Stand out of the crowd with this apron, what girl could resist this design. 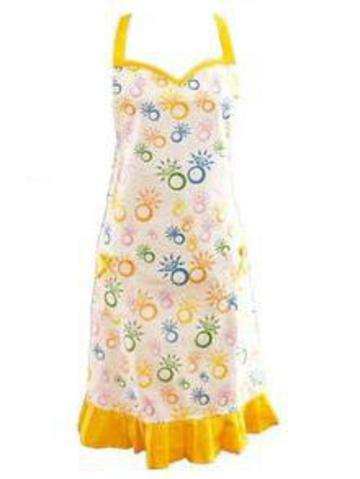 This Diamond Apron features a sweetheart neckline, two pockets with adorable bows and a ruffled hem line. Ties at the neck and waist.